Flowering crabapples have been called a "four seasons" tree, and for good reason. In the springtime the tree puts on a lovely display of blossoms, foliage ranges from green to reddish or bronze (dependant upon the cultivar) in the growing season, fruits color up in August, and the tree form and bark add interest in winter–truly a four seasons tree. Size differs according to the individual cultivar. Crabapples can range in height from 15 to 25 feet and in width from 4 to 25 feet. Their small size makes them an excellent tree for the urban residential landscape. Shapes vary as well, they can be shrub-like, narrow-upright, wide-spreading, round, oval, horizontal, vase-shaped or pendulous/weeping. The University of Wisconsin Department of Horticulture recommends several cultivars that are hardy to zone 4: Adirondack, Jackii, Coral Cascade and Louisa. The color of the flowers varies according to the cultivar: white, pink red, or rose. They can be single (5 petals), double (many petals), or semi-double. When choosing your flowering crabapple look for one that flowers profusely every year, because some cultivars flower only every other year. Just as the color of the flowers vary from cultivar to cultivar, the fruit also varies in color. 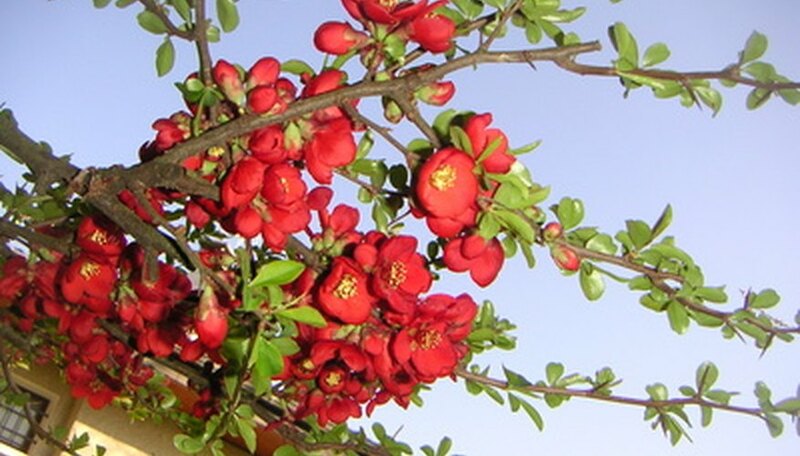 Fruit of the flowering crabapple can be purple, red, scarlet, pinkish red, orange, yellow or green. The Hopa crabapple is known for its large, ugly fruit, which requires a lot of cleanup. Fruit of the crabapple is under 2 inches in size. Spring Snow is a fruitless crabapple, however it is susceptible to apple scab and fire blight. Wildlife is attracted to the fruit of the crabapple. Flowering crabapples adapt to most well-drained soil conditions. According to the University of Kentucky the pH should be from 5.5 to 6.5 for optimum growing conditions. The tree should be planted in a hole twice the size of the root ball to allow room for the roots to spread out. You should also apply a layer of mulch around the newly planted tree to keep moisture in and weeds out. North Dakota State University lists cankerworms, fall webworms and apple maggots as pests that can infest the flowering crabapple tree. Common diseases are: apple scab, fire blight, cedar-apple rust and powdery mildew. Some species of crabapple have some resistance to pests and disease; however, if you have a cultivar that is not resistant then fungicides will need to be part of your tree maintenance routine.